Trisha who celebrated her birthday recently is a happy and contented person with her career graph on the uprise. Her bilingual with Ganesh Venkatraman, Nayaki, will soon hit the theatres. The gorgeous actress has also sung a number in the film. About her next film, we had some time ago reported that she is likely to be directed by Madhurey director Madhesh for a horror film. Now sources tell us that she may be doing a double role in this film. 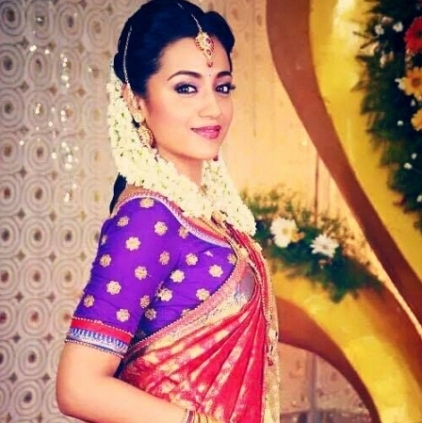 It has to be noted that in Nayaki too, Trisha is said to be playing dual roles. The Madhesh directorial is reportedly funded by Prince Pictures who had earlier associated themselves with Suriya’s Singam2.